Actually, it was really cool of Rock Candy to have both King Kobra first albums re-released. Being a diehard fan ever since the band first started, it's nice to see that now a whole new generation can have access to these classic albums. Let's face it – if you grew up in the 80s, not only the great, shocking and down to earth looks of the band, but also their perfect songs, with catchy choruses and melodies, not to mention their explosive hooks, did catch the attention of each and every fan of the genre, and the band's legacy lives on till this day. Well, these reissues are surely special treats, since they come as Special Deluxe Editions with fully remastered audio, sixteen-page full colour booklets with essays about the making of each album, interviews and enhanced artwork with unseen pictures, and “Thrill Of A Lifetime” even got a bonus track. King Kobra is a band who certainly deserves that! This is certainly an appropriate title for a second album. From the very first moments of “Second Time Around” it feels you’re tuned on a good radio channel. The truth is you can barely listen to the guitars (or should I say synth-guitars?) other than some fills, but no one can deny the sound quality of the album production, no matter if it sounds artificial with all the keyboard-like sounds, including drum machines, and keyboard-made bass guitar lines. And there was Mark Free... Listening to that voice again was refreshing, even though it was not in a “rock mode” like either Mötley Crüe or Ratt, but more like Foreigner. Some great lyrics sung by the most beautiful voice ever. All the “new” feeling Mark had was quite exciting. The track’s chorus is way catchy, super radio-friendly and it sticks to your mind in a question of seconds. 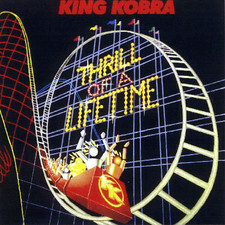 If “Ready To Strike” was an album to rock hard, “Thrill” was showing the pop, AOR side of King Kobra. Mark’s voice surrounded by the synth ambience was, and still is something not easy to compare to anything else. The double lead guitar solo is simply beautiful, breaking into a keyboard atmosphere, where Mark shines again. “What are you looking for, when you’re walking out that door? I hope it can be found, maybe you’ll find love the second time around”. Well, I did. I loved the song. The drum intro is clearly not real drums and the short, double guitar melodic solos were thought to be everything radio needed at the time. Mark Free sings very meaningful lyrics, and the commercial feel of the song matched make it really special. To be deadly honest, this style fit Mark’s voice much better than what he did on the “Ready To Strike” album. This song’s chorus is also catchy, especially when various harmonies are added to the lead vocals. As for the guitar solo, it was everything the song needed - some simple continuation of the beautiful guitar intro. David and Mick may have felt really bad for not being more part of these two first songs, since they are awesome guitarists. But that was clearly a pop rock album after all. Carmine Appice’s playing just couldn’t be believed to have been there at all, bassist Johnny Rod was nowhere to be heard... it really felt like a Mark Free solo album. With all of my respect to the amazing band King Kobra used to be, well, it really felt like that. Mark was just the life of it all. “Dream On” may not be the classic as Aerosmith’s same named song, but there’s no doubt that it’s a great AOR tune. 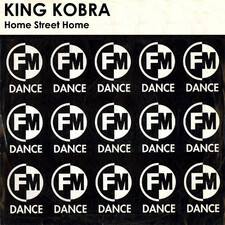 If King Kobra was up to making radio hits, “Feel The Heat” was certainly a perfect song to fit in what they wanted to do. Honestly, I can’t remember many songs as commercial, catchy and soundtrack-like. A perfect song for those who love this style of music. It’s simply one of the best AOR songs of all time. The opening guitar riff and the synth guitars are simply perfect, and Mark Free does make sure it’s his album to shine. Extremely commercial sound and music, but Mark surely makes it special in each and every way. The song chorus is one of the most perfect ones ever made. It sticks to your mind, seemingly never to be forgotten. There’s this keyboard thing that makes the song even more magical. How come radio stations and MTV ignored such a wonderful song? Hard to tell... That’s what the 80’s was all about musically. And, in my personal opinion, that’s what made them the best years ever. The track’s bridge is also quite nice, and it breaks into another great guitar solo. It’s short but wonderful, and then we have the brilliant song intro again, with the neverending catchy chorus. Mark Free did make his mark on this one (and, I must say, on the whole album). Once again, drum machines and possible programmed keyboard bass guitar on this track. Maybe Carmine and the record company thought they were making the right move when the “Thrill Of A Lifetime” album was released. And actually they did. But Appice’s logical central spot was “accidentally” taken by singer Mark Free. Another one of my favorite King Kobra songs ever. The title track off this album is no different from its previous ones. 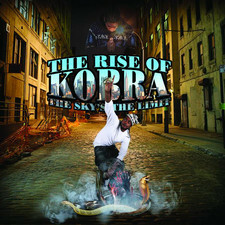 A masterpiece that has this cool title that ended up being the name of King Kobra’s second record. The initial vocal choir (apparently made up only by Mark Free’s various vocal tracks) is something amazing, breaking into the band’s playing. Once again, other than the vocals and the guitars, both the drums and bass guitar parts seem to be programmed. Mark’s singing these great, commercial lyrics, backed up by this super commercial guitar licks on the verses, was something never done before, even by bands as Journey and Foreigner. The song’s bridge is way commercial, leading to this amazing chorus, that was again missed by radio and MTV. Damn, King Kobra would have been huge if tracks like this (like these, I must say) had been commercially exploited, which was both the band and the label’s intention at first. And here it comes another one of those two lead guitar solos, that fit the song perfectly – no news here, right. Mark sings the first verse again, giving it a different feel now, which makes one certain that he did sing all over this amazing tune, differently from what most singers did back in 1986. There’s this epic keyboard section then, and the repetition of the amazing chorus. Mark is the one who makes the difference again. It’s clear that, if it wasn’t for his vocals, this album would simply be another one of the hundreds of Foreigner copies there were at that time. “Thrill Of A Lifetime”, the song, is another one of the best moments off the album. That was a great attempt of maybe, yes, maybe, of King Kobra recording a blues song. But as said before, “Thrill Of A Lifetime” was not a real rock album, let alone a blues one. “Only The Strong Will Survive” is such a great track, but the final result here was actually a great pop rock, AOR song. A very melodic one, with some more “real” guitars than the previous songs. 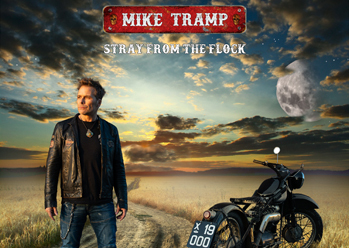 And also, Mark Free’s singing is impressive on this one, to maintain his contribution to this amazing album. These lyrics are superb, and his performance gives them much more meaning than what was maybe planned. Although the drum machine is clearly there (was Carmine Appice really willing not to play on most tracks off this album just to make a “make it or break it” album? ), it seems bassist Johnny Rod played on it. The chorus on “Only The Strong Will Survive” is also really impressive. Not as catchy as the ones from the previous songs, but beautifully executed. Mark’s vocal versality can be seen on this one, not only because of his lead vocals, but also because of his melodies. The guitar solo here is simple, melodic, but fits the song as usual. What can be said about this tune is that the attempt of making a more bluesy song ended up being successful, but as another AOR masterpiece. At the time, a great ending for the “A” side of the record. Back to the song, “Never Say Die (Iron Eagle)” is another masterpiece off the “Thrill Of A Lifetime” album, like it or not. Its extremely commercial keyboard and drum machine intro that led to the “band’s playing” is unforgettable. And, needless to say, it’s another one of Mark Free’s best vocal performances ever. His voice ranges from low to extremely high notes, not to mention the wonderful vocal melodies. Till this day, I’ve been a couple of artists trying to cover this song, but thanks to what Mark had done, these other artists just seemed way ridiculous. Just think of a mouse trying to mimic an elephant... That’s what the vocal preformance and arrangement to this song are: stuff one will neve rever get close to. The lyrics are very much based on the movie, they were meant to be commercial and conveyed what the movie was all about. But not only the vocals and lyrics are great – all the playing and programming on it are simply what would fit the song perfectly. The guitar solos are somewhat incredibly good. Short, but we’re talking about a keyboard-driven radio song after all. There’s this break after the solos, where the keyboards shine again, then Mark Free taking over the spotlight one more last time before the end of the song, showing how high the notes he could hit were. Actually, for this song only, Mark Free could have been considered the best vocalist of the year. But he never was. The neverending repetition of this great, epic chorus goes on until the song fades out. 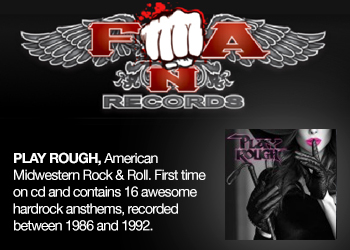 “Never Say Die (Iron Eagle)” can easily be named as one of the most perfect, popular, successful and timeless AOR songs of the music industry ever. And not being on the movie would really not have made a big difference. The drum machine and electronic effects just differ from the other great songs, but the guitars, at a first listen make one think it’s going to be more of a rock tune. Seriously, listening to Mark Free singing a rap song, with cheesy lyrics, can cause a heart attack! All the Run DMC effects are no good either. Its chorus are catchy, right? Right. But not good at all. What can save the song a little bit are Mark Free’s singing the more “rock parts” on it, and the great solos by David Michael-Phillips and Mick Sweda. Poor guitarists, who had to use their talent to play on such a lame song. What about Carmine Appice’s great drumming? What did they and the album producer have in mind? Did they think fans would dig it? Did they think pop radio would play it? Did they think rap radios would play a song by a Glam Rock band? It’s just crazy that this song was included in such a great album. Summing up, “Home Street Home” didn’t ruin the album only because of the other songs on it, but it’s obviously the worst thing the first incarnation of King Kobra did. That’s what I am talking about! 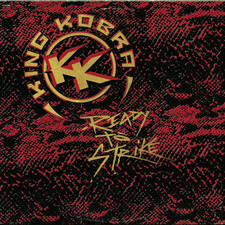 A song that King Kobra seemed to have left out off their “Ready To Strike” album. That’s a pure rocker, also differing from the rest of the other tunes, but finally (at least, as I could hear on it) had the five members of the band playing on it, even though with a pop rock feel, but more similar to the band’s first album. Now people can hear Carmine Appice and Johnny Rod, which is nice, even after seven tracks! That’s a rock band on the intro and all over the song and, curiously, most of the keyboards seem to have gone somewhere else. Nice and cool lyrics, by the way, and now, that we’re really talking about a band, Mark Free, even though singing his heart out, had to share the spotlight with Carmine, David, Mick and Johnny. 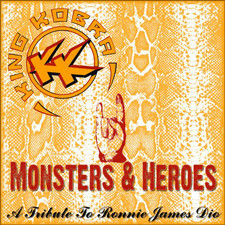 That’s a great chorus, not as catchy as the ones from the previous songs on this album, but come on, it’s King Kobra doing a rock song again! These are the first real rock guitar solos on the album, which feel great. I guess that was what they could do to make sure they wouldn’t lose so many fans after the “Home Street Home” nightmare. Particularly speaking, “Overnight Sensation” isn’t as good as the “pop” side of the “Thrill Of A Lifetime” album, but it’s a great tune. King Kobra was briefly a Glam Rock band again. And that was also great. 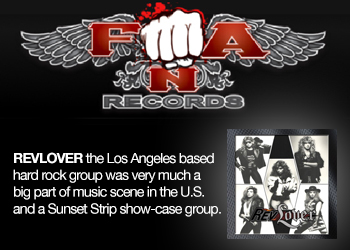 Going the same way they did on “Overnight Sensation”, King Kobra kept the “rock” pace going with “Raise Your Hands To Rock”, which was a song they had been playing on their 1985 tour to promote their first album, “Ready To Strike”. Although not as rough as the versions that were previously heard live, it was great seeing this track on “Thrill Of A Lifetime”. With some pompous production, but again without the radio-made feel of the first six songs on the album (let’s count “Home Street Home” out, shall we? ), “Raise Your Hands To Rock” was what the old and then confused fans needed to like the album better, if they weren’t open to the new AOR direction the band had taken here. Here’s the whole band playing again, with Carmine Appice delivering some great drumming, and guitarists David Michael-Phillips and Mick Sweda shredding their guitars. And there’s Mark Free, let’s not forget it. His pipes can be melodic and they can rock at the same time. The lyrics are pretty teenage and rebellious, a formula that had been used by so many other bands. But who cares? They’re great! Its chorus is really catchy, with those sing-along, big choirs that made Glam Rock popular, and somewhat commercial but, of course, not sounding like the rest of the album. The guitar work on this one is to be noticed, since there are lots of different parts on the short, but really interesting solo, which ends up in the very well known vocals and drums part, coming back to the chorus repetition until the song ending. Well, there’s no doubt that “Raise Your Hands To Rock” is to be considered one of the best moments off the whole album. Such an awesome song that, for some reason, did not get the “pop, radio-friendly dressing” as most songs on the album. 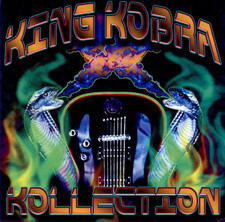 King Kobra could have gone commercial (OK, a bit too far, I agree), but they could still rock. So, here we are with the last track off the original “Thrill Of A Lifetime” album. 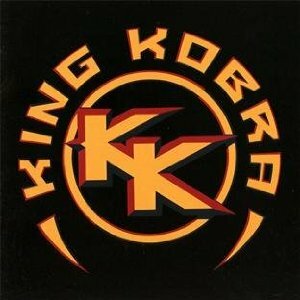 It was cool seeing, well hearing, that King Kobra included one last rock song on it, featuring all the band members playing their instruments. Anyway, it’s another tune that didn’t say much if compared to some of the great ones here. A bad song? Not at all! There’s this really cool guitar riff, but it did sound as if they were trying to recreate “Attention”, off their first album, once the verse comes up. Carmine hits his drum kit hard and Mark Free gives his own particular show again, once again being very melodic but rocking hard. The guitars are also really powerful, and its chorus is catchy, even being more of a rocker, as mentioned before. 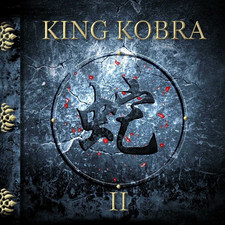 Then one listens to this curious harmonica solo, which ends upin this short, but awesome two lead guitar-solo, and the sensation is that King Kobra got it right again. The chorus comes back and the album finishes with Carmine’s furious drums, briefly alone. There wasn’t a better song to finish such a great album that “Thrill Of A Lifetime”, even though it was one that could not be really classified as 100% AOR, since there were these three last great rock tunes, and the nightmare that would haunt these five guys forever, which even has a different mix as the bonus track included here, on the new Rock Candy reissue. Is it really worth reviewing it? God, no!!! “Second Time Around”, “Dream On”, “Feel The Heat”, “Thrill Of A Lifetime”, “Only The Strong Will Survive”, “Never Say Die (Iron Eagle)”, “Overnight Sensation” and “Raise Your Hands To Rock”.